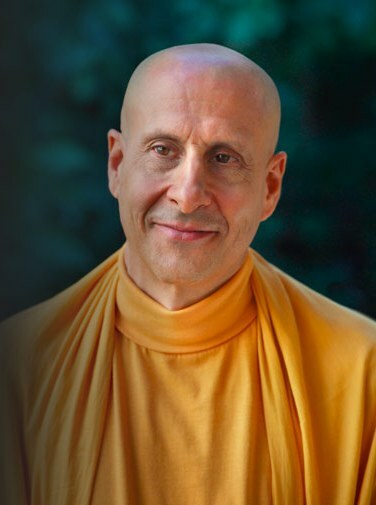 The Sacred Journeys » Radhanath Swami on What is more logical? People may challenge that how do you know the soul is eternal, how do you know there is a God? Because unless we have faith in these principles, how will we strive to live for that when there is so much opposition, philosophically, logically, socially. The scriptures and the great saints of every spiritual path, of every religion throughout history, they have lived and died for this truth. Recently, someone asked, how do you know there is God? The obvious question to ask such a person is, how do you know there is no God? Can you prove there is a God? Can you prove there is no God? Can anyone actually prove that there is no God. There are so many theories, but what really is the evidence. Was anyone there to actually eye-witness with a video machine the Big Bang? It is just a concept born in peoples minds which seems to make sense due to certain things, certain phenomenon that they are witnessing today, but the obvious question, is it more logical that everything comes from nothing or that everything comes from something. If it is more logical that everything comes from something, that something is God, janmady asya yata. This is the definition of Vedanta Sutra that the absolute truth is whom everything emanates from or as Krsna says in Gita ahaÃ sarvasya prabhavo matta sarva pravartate, I am the source of all spiritual and material worlds. 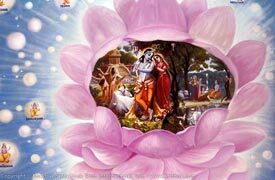 If one has faith on saintly persons, he can even see the Absolute Truth, the Supreme Person. All glories to HH Radhanatha Svami Maharaja. Radhanath Swami seems to be more logical and scientific than most of the so-called best scientists. Radhanatha swami maharaj ki jai……….. Faith is the first prerequisite to start the process of self realization or any other endeavor for that matter. Beautifully explained by HH Radhanath Swami Maharaj. Thank you.